A record-setting cold has turned two day’s worth of snow and slush on our roadways into dangerous slabs of ice. Olympia Airport recorded a record-low of 8 degrees at 6:54 am on Friday morning. The previous low had been 12 degrees, in 1962. The lowest temperatures locally were found in Eatonville, which bottomed-out at 12 degrees early Friday morning, followed Yelm at 13 degrees. Ashford saw 14 and Graham, 16. 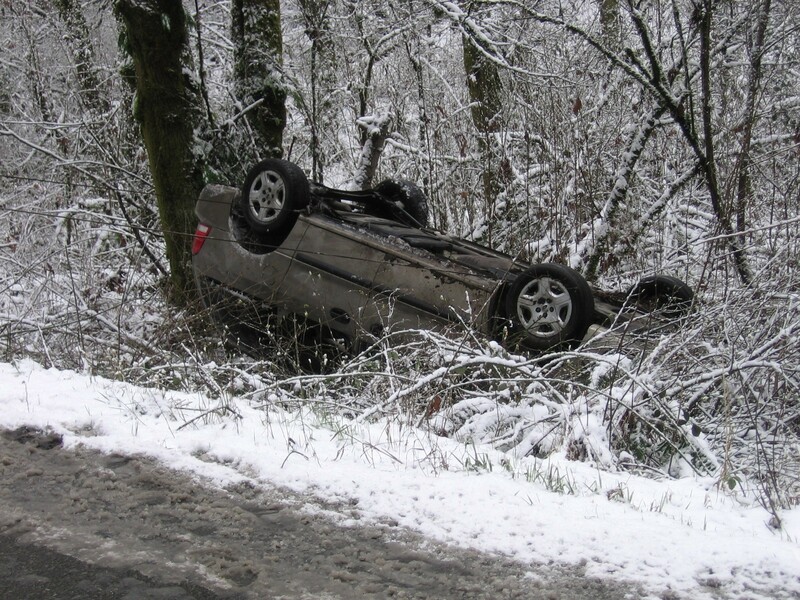 On February 24, 2011 at approximately 0900 hours, the Washington State Patrol (WSP) responded to a 2004 Ford Minivan that lost control on the icy roadway and rolled down a 20-foot embankment on SR510 near Mullen Road (near Yelm). Upon arrival, state troopers found the driver, a 37 year-old female, and her four children – all under the age of 7 years of age – safely out of the vehicle and not injured because they had been all properly seat-buckled or in car seats/ boosters. The Washington State Patrol would like to remind drivers to wear their seatbelts and make sure children are properly secured. If your child is less than 4’9 and/or weighs less than 40 pounds they must be in a booster seat. This is another perfect example of how seatbelts do prevent serious injuries and save lives. A mother and her four young children survived this roll-over today near Yelm, because they were wearing seat belts or sitting in booster chairs. This entry was posted in Eatonville News, Environment, Graham News, Nature, Roy News, Yelm News and tagged Record Cold. Bookmark the permalink.